Adelaide Central Market is located in the heart of the city and is one of the tourist hotspots in Adelaide, and here’s why. Boasting over 70 traders under one roof, it is one of the largest fresh produce markets in Australia and is Adelaide’s premier food destination offering multicultural cuisine, with over 9 million visitors each year. Packed to the brim with a huge variety of amazing delights including fruit, vegetables, meats, seafood, cheeses, delicious bakeries, health foods and small goods coupled with a colourful, buzzing atmosphere all year round, it is certainly an experience not to be missed when staying in Adelaide. It takes around 3-4 hours to see all the market has to offer or you can be part of a walking tour, sampling a variety of treats along the way, while learning all about the different foods and the history of the market. After sampling some of the market’s delights, why not rest your feet and re-fuel in one of Adelaide’s most popular cafés and eateries within the market place. Adelaide Central Market is open Tuesdays 7am-5.30pm, Wednesdays and Thursdays 9am-5.30pm, Fridays 7am-9pm and Saturdays 7am-3pm. Opened in 1883, Adelaide Zoo is Australia’s second oldest zoo, after Melbourne zoo and is a must-see iconic attraction while visiting Adelaide. Located in the Parklands, just a short 15 minute walk North of Adelaide city centre, the zoo boasts over eight hectares of beautiful botanic surroundings and is home to more than 2,500 animals, with around 250 species of exotic and native mammals, birds, reptiles and fish. Along with the other leading zoos in Australia, Adelaide zoo operates on a non-profit basis as a conservation charity and is administered by the Royal Zoological Society of South Australia. 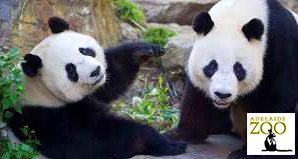 Expect to see an impressive variety of animals during your visit, including giant pandas, lions, alligators, otters, sea lions, monkeys, tapirs, giraffes, kangaroos, hippos, Tasmanian devils, tigers and much more. There are also various talks, up close encounters and events held throughout the year to enjoy and learn more about these wonderful animals. Check out their page to see what’s on https://www.adelaidezoo.com.au/events/ .The zoo is open to the public every day from 9.30am to 5pm, so why not make this amazing experience part of your visit to Adelaide. The Adelaide Oval is regarded as one of the most beautiful sporting grounds in the world and since it was established in 1871, it has been attracting thousands of visitors each year from around the world. The Oval is host to a variety of events including football and cricket matches, functions, major events and concerts. The Oval is located right in the heart of the city and is the centrepiece of the Adelaide Riverbank of the River Torrens. The Adelaide Oval offers visitors a variety of experiences including a behind the scenes Stadium Tour, embarking on an exciting Roof Climb adventure to take in the amazing views of the city, or for an experience to excite the palate why not sit back and relax at Hill of Grace Restaurant, to experience some of the best food and wine South Australia has to offer. There are also sporting events and more held regularly throughout the year, so if watching the game or a concert in a magical setting is more your thing, check out their page to see what events are happening during your time in Adelaide https://www.adelaideoval.com.au/whats-on/ .The Adelaide Oval is open weekdays from 8am-5.30pm and 8am-4pm at the weekend. This is quite a popular area to stay when visiting Adelaide too! Adelaide Botanic Garden is a tranquil retreat in the heart of the city. It is located on the North-eastern corner of the central business district, between the North Terrace and Botanic Park. Explore the beauty and diversity of plants from Australia and around the world with over 50 hectares of stunning gardens, magnificent architecture, majestic avenues and educational observatories. The Botanic Gardens was first established in 1857 and the plants within the gardens beautifully reflect its periodic development from then until now. There are also some notable heritage structures to admire during your visit, such as the Museum of Economic Botany, built in 1881, the 1875 glasshouse known as the Palm House, the Herbarium which is housed in a converted Tram Barn and the 1909 Goodman Building, which was the former headquarters of the Municipal Tramways Trust and is now used as the administrative centre of the gardens. There is also a Visitor Information Centre and Diggers Garden Shop which offers a variety of books, garden wares and seeds for those green-fingered among you. And after spending a few hours or an entire day walking and taking in the sights, why not take a break and refuel at one of the café’s or for a fine dining experience visit the Botanic Gardens Restaurant. Adelaide Botanic Garden is open 365 days a year, from 7.15am-6.30pm on weekdays and 9am-6.30pm on weekends. Entry is free to all and includes a free guided tour. 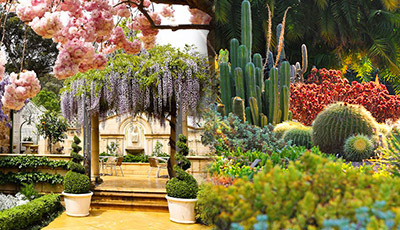 Check out their page for regular events held throughout the year https://www.botanicgardens.sa.gov.au/whats-on . Established in 1881, the Art Gallery of South Australia (AGSA) is located at the heart of Adelaide’s cultural boulevard, North Terrace, next to the South Australian Museum, the State Library of South Australia and the University of Adelaide. It boasts the second largest state art collection in Australia, after the National Gallery of Victoria, housing around 45,000 works of art and design in one of Adelaide’s most beautiful buildings, which attracts around 800,000 visitors each year. The gallery features an extensive Australian collection including art work by South Australian and Aboriginal artists and works of art from Europe, North America and Asia. In addition to its permanent collections, the gallery also displays many temporary exhibitions throughout the year. There are displays that illustrate thousands of years of human history, exhibitions that immerse the senses in one artist’s singular vision and an interactive studio where you can become the artist. You can also learn more through the program of talks, take part in special events and a variety of activities for all ages or join the free tour. Check out their page to see what events are on during your visit https://www.agsa.sa.gov.au/whats-on/event-calendar/ . After admiring some of the delights the gallery has to offer, why not stop for some rest, relaxation, reflection and re-fuelling at the gallery’s restaurant, or partake in some retail therapy at the Gallery Store. General admission is free of charge and AGSA is open from 9am-4.45pm every day except Christmas Day and is open until 9pm on the first Friday of every month. If you plan to visit before 10am, please enter through the Sculpture Courtyard or Fish Gate entrance.